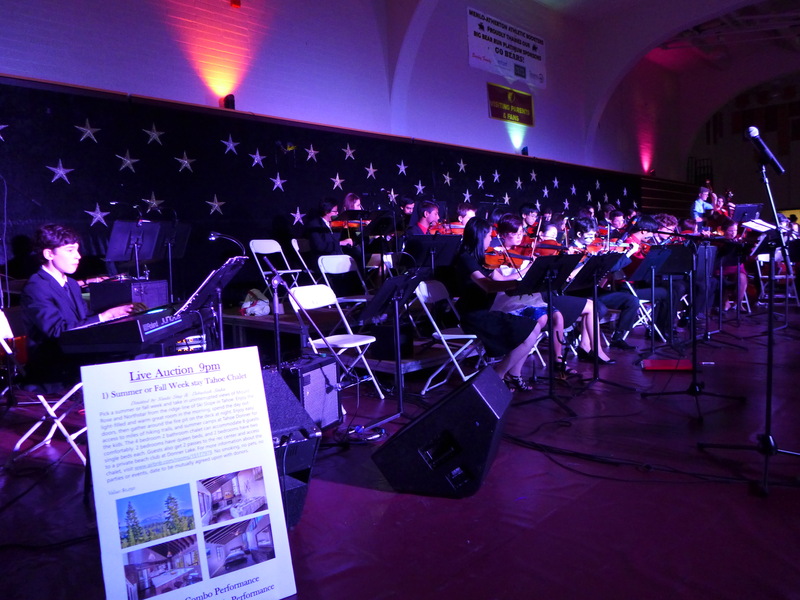 The Menlo-Atherton Music Boosters support M-A’s award-winning bands and orchestra. Please consider supporting our musicians with a tax-deductible contribution. The requested contribution is $200 per student, but any amount is helpful and appreciated. Your contributions fund needed equipment and sheet music, and cover travel costs, festival fees, and scholarships so that all students can participate in their ensembles’ performances and trips. 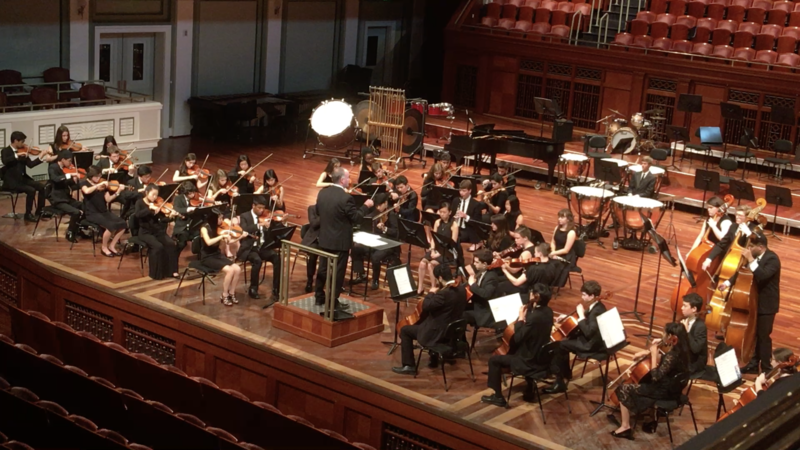 In April 2019, the Orchestra will perform in the National Band and Orchestra Festival at Carnegie Hall. 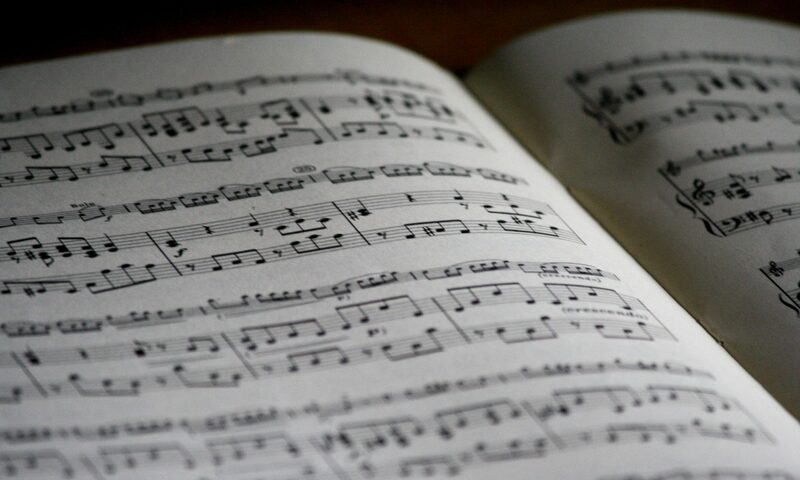 Listen to small, talented groups of students from our ensembles perform in the Chamber Music Concert on Wednesday, April 24 at 7:00 PM in the PAC. The Spring Concert will take place on Tuesday, May 21 at 7:00 PM in the PAC. 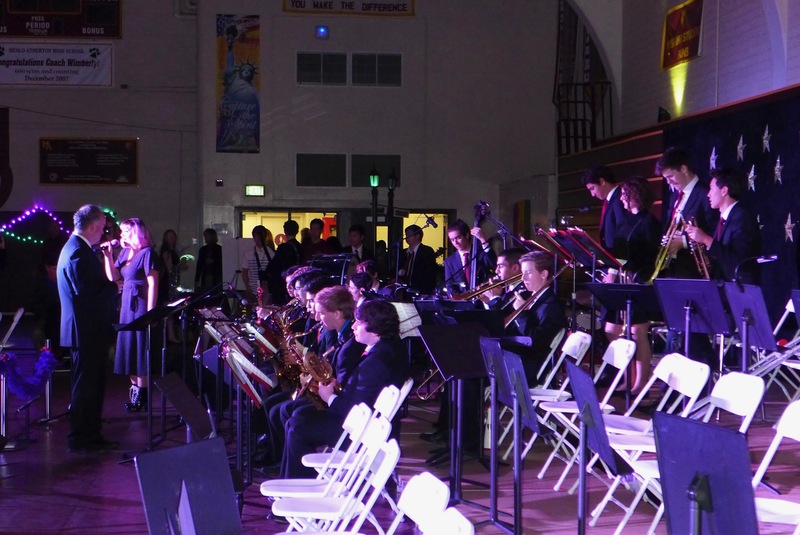 Jazz III and Concert Band both had extremely successful performances in the San Diego Heritage Festival. Jazz III placed first of all jazz bands and received a gold award and the Adjudicator’s Award for Outstanding Band of the Weekend, while Concert Band placed second in its category and received a silver award. M-A also received the the Sweepstakes Award for having the highest combined score of its two bands. Neekon Saadat (trombone) and Bart Baker (piano) received Outsanding Soloist awards. The bands pose for a photo during their trip to San Diego. 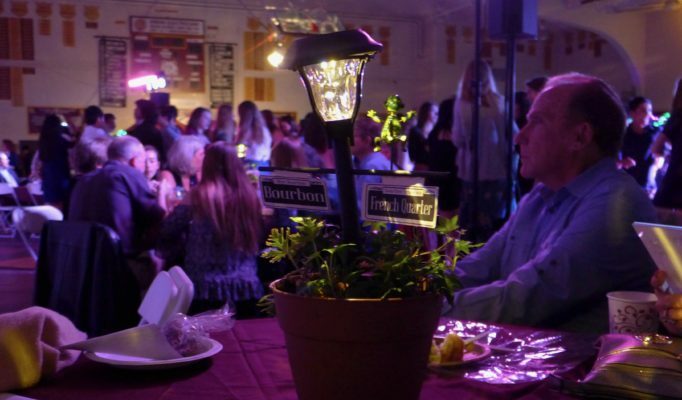 A huge thanks to everyone who volunteered at the Big Band Dance and made the event happen, as well as everyone who participated in our first ever online auction! At the Big Band Dance, we raised a record $16,445 for the music program. 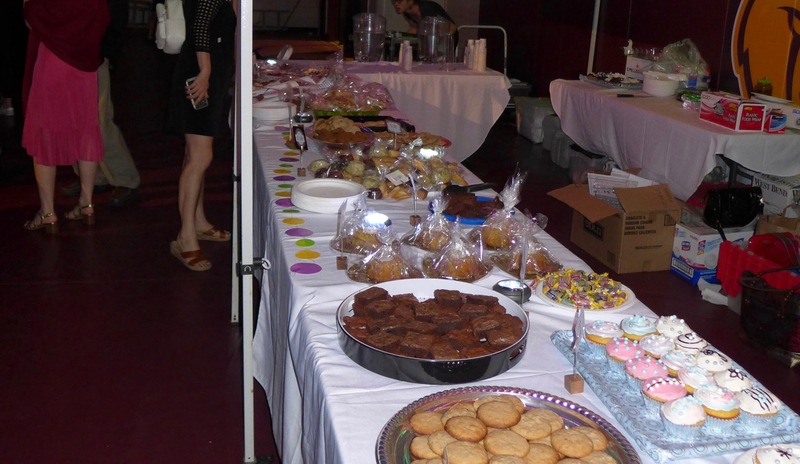 We raised an additional $8,355 in the online auction, for a grand total of $24,800! We need to thank our intrepid leader, Kristi Waldron, who was once again Chair of the Big Band Dance; we appreciate her creativity, skill, and hard work in organizing and running this event. Thanks also to Kent Kurrus for months of work planning and executing the fantastic student performances we enjoyed. The M-A Chronicle covers the event here. 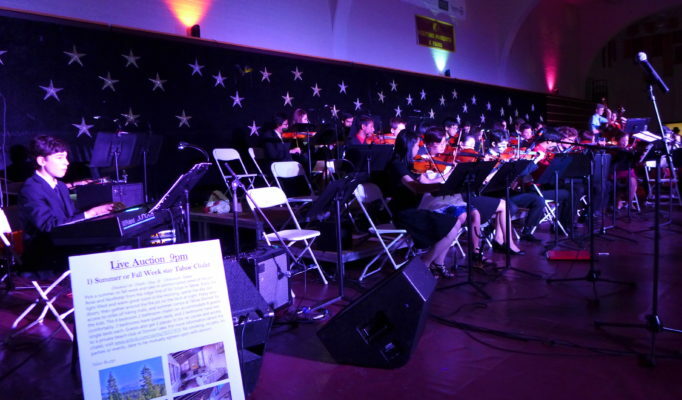 Read about and listen to excerpts from the successful Meet the Bands and Orchestra concert in the M-A Chronicle here. It’s official! The Orchestra will be performing in the National Band and Orchestra Festival at Carnegie Hall in April 2019! 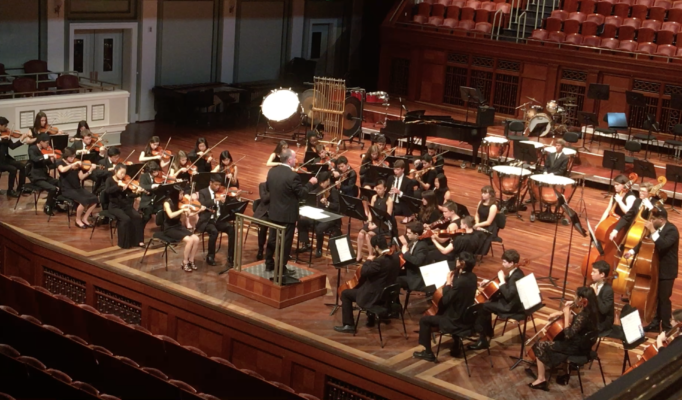 On May 21, the M-A ensembles played in their culminating performance, the Spring Concert. Congratulations to all ensembles for a wonderful year! 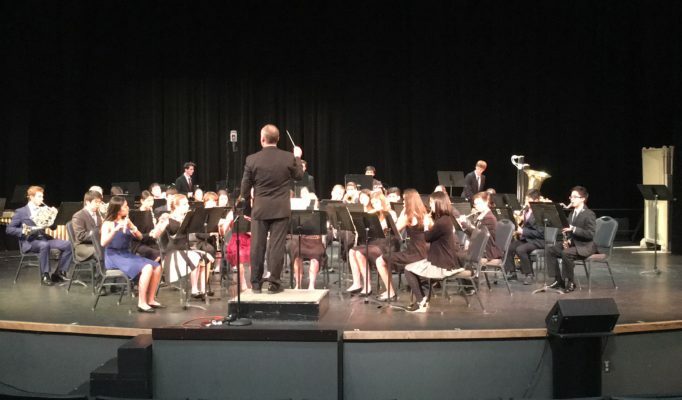 Congratulations to both the Orchestra and Concert Band for their incredible performances this month! 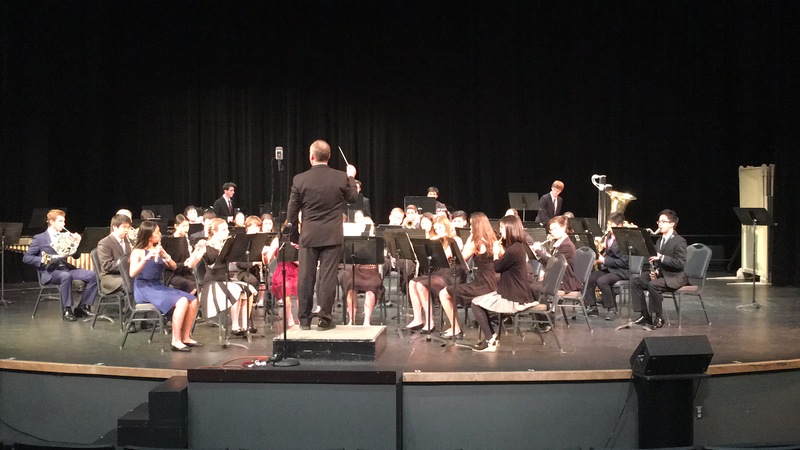 The Concert Band placed 2nd and received a gold award in the WorldStrides Onstage Music Festival in Anaheim. 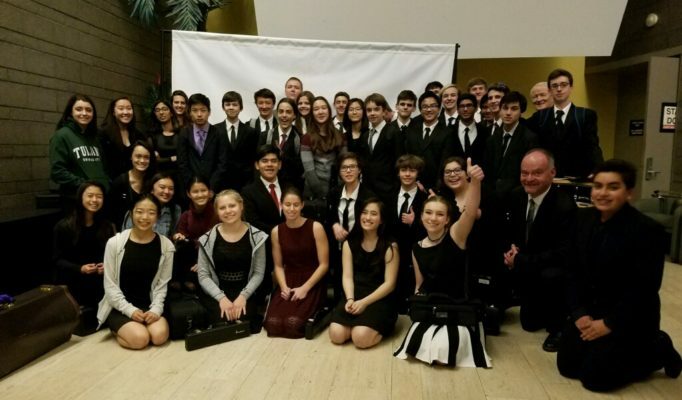 In the Festival of Gold in Nashville Tennessee, the Orchestra received some of its highest adjudicator scores ever and earned a gold award for the fifth year in a row. M-A’s jazz bands were fantastic at the Delta Jazz Festival! The combo won 1st place and Jazz III and Jazz II both won 2nd place in their categories. 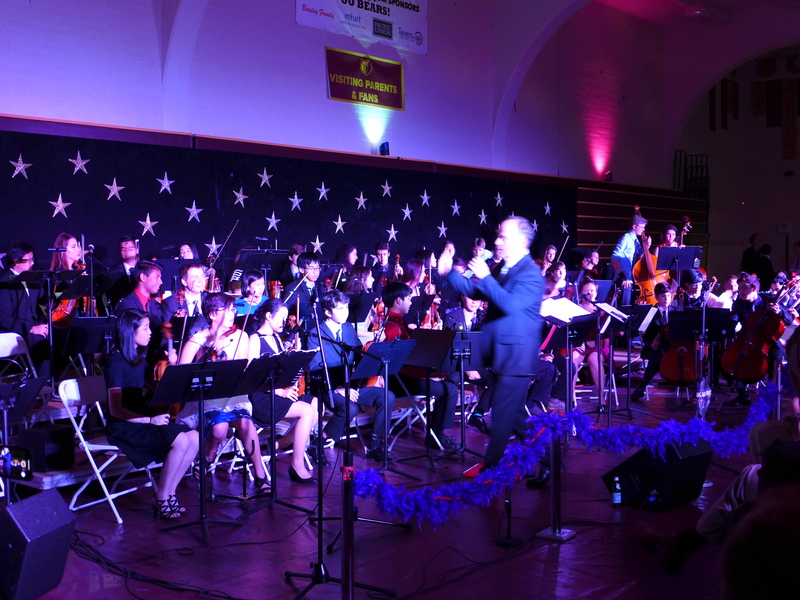 And what a wonderful Winter Concert! You can relive it below. All the ensembles did a wonderful job in the Meet the Bands and Orchestra Night! Unfortunately, we do not have a recording of the concert. However, here is a copy of the program. Congratulations to all ensembles for a successful Spring Concert! The M-A Chronicle reports on the event here. You can watch the full concert below. 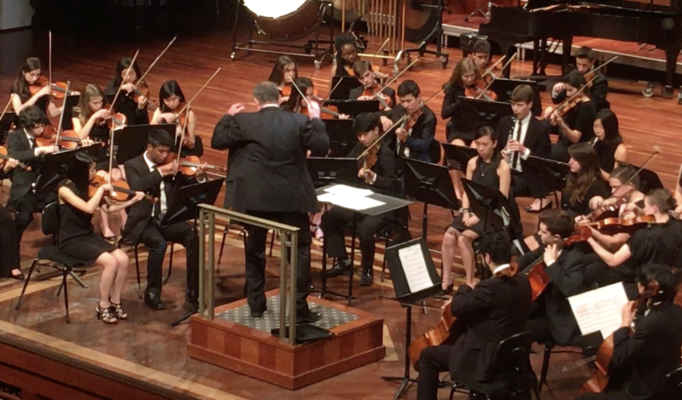 The Orchestra was invited to the WorldStrides Festival of Gold in Chicago, and earned a gold medal for their performance at Chicago’s Symphony Hall. 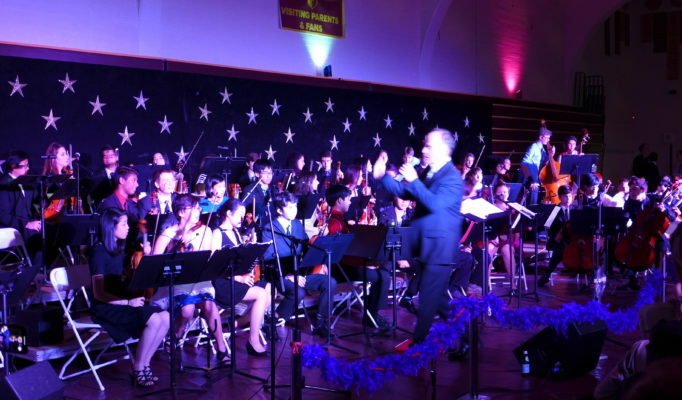 To learn about the partnership between M-A’s music program and the Ravenswood School District, click here. 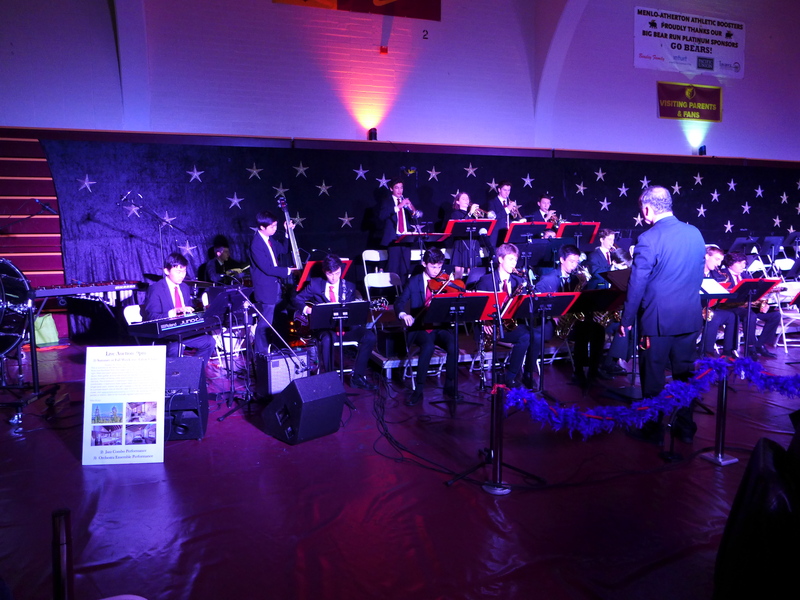 We are pleased to share that the Big Band Dance raised $20,000 for M-A’s music program! Thank you to everyone who attended and supported the event. For the M-A Chronicle’s report on the evening, click here. 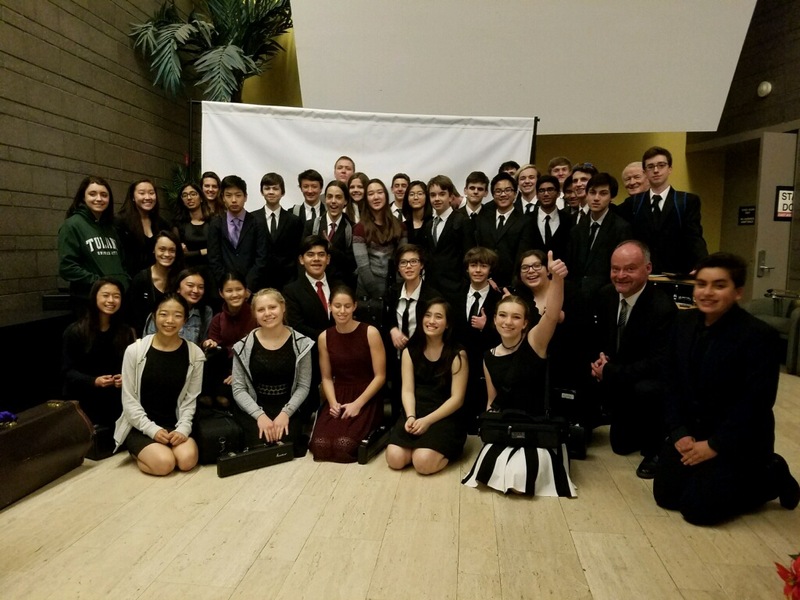 M-A’s Jazz Band III earned first place in the Advanced Jazz Band Category at the San Joaquin Delta Jazz Festival, and the Jazz Combo placed first for the second year in a row. 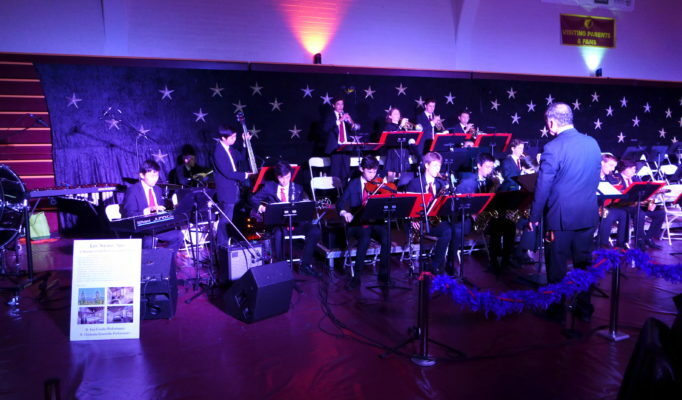 To find out more about this month’s Winter Concert, click here. You can watch the full concert below. 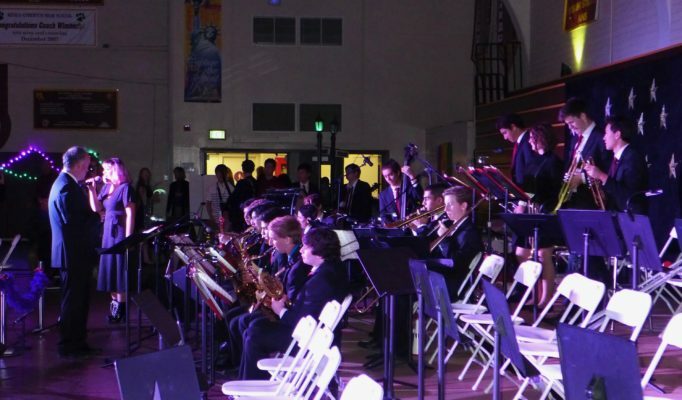 Click here to view InMenlo‘s profile of Mr. Kurrus, M-A’s excellent music program, and the Big Band Dance.